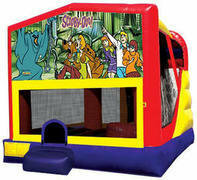 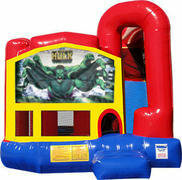 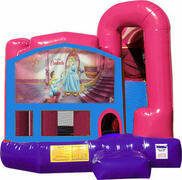 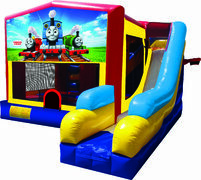 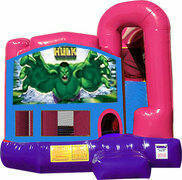 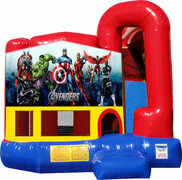 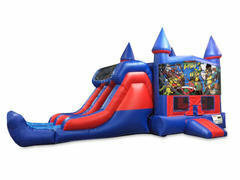 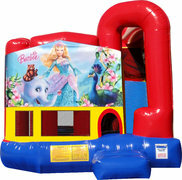 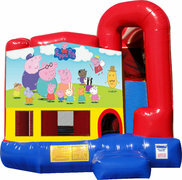 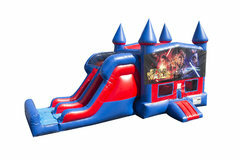 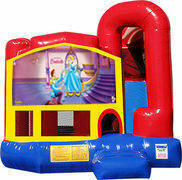 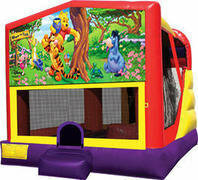 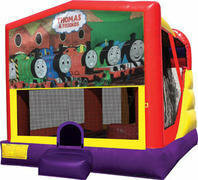 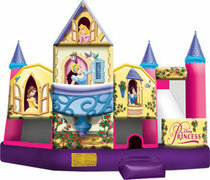 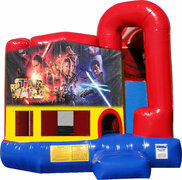 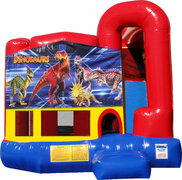 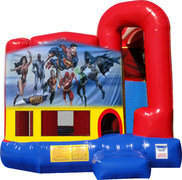 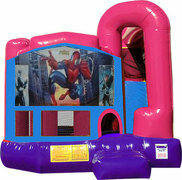 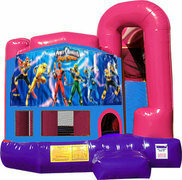 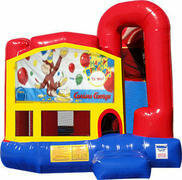 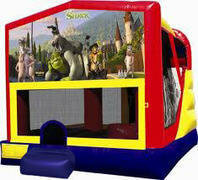 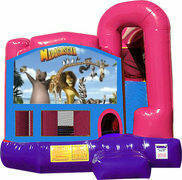 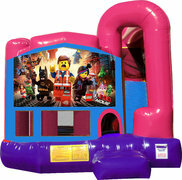 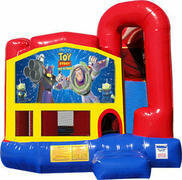 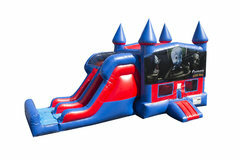 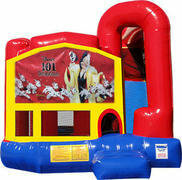 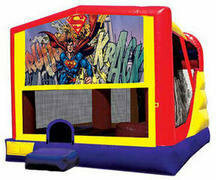 Want a jump house combo rental that's 4, maybe 5, or even 7 times the fun? Well you've come to the right place because / we have more than one jump combo. 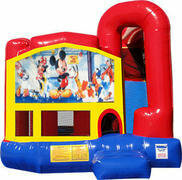 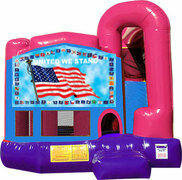 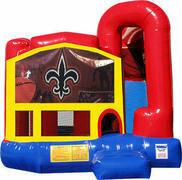 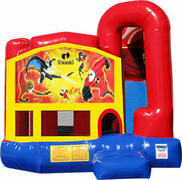 Our 4-in-1 jump house combo features a dry slide, bounce area, climbing area and an inflatable basketball goal. The 5-in-1 jump house combo features just one thing more. It has The Hop Shoop vertical pop-ups that you can climb through. 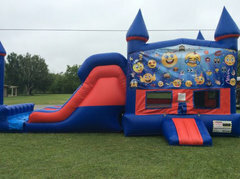 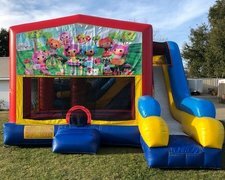 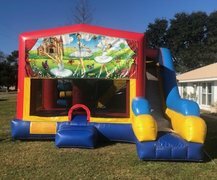 The Ultimate 7-in-1 inflatable moonwalk combos feature a dry slide, climbing area, vertical pop-ups, horizontal pop-ups, a jumping area, a basketball goal on the inside, and on the outside. We have themed panels that can be attached to the front of the fun jump to give your event an even more decorative look.